WordPress is an often overlooked aspect of web design. So much effort and planning goes into creating a visually pleasant experience for our human users that we forget that web crawlers care about actual content rather than presentation. While SEO may seem daunting, implementing it is easier than one might think. Increasing your rankings with search engines will not only bring in more valuable traffic to your site, but also allow for you to stand out from your competitors. Luckily, there are several easy methods you can use to make your site a leader in your niche. If you’re like 20% off site owners on the Web, your site is probably using WordPress as a Content Management System (CMS) or a blog. One of the best features of WordPress is the seamless integration of 3rd-party plugins. It really only takes a few clicks and searches to add value on your site! 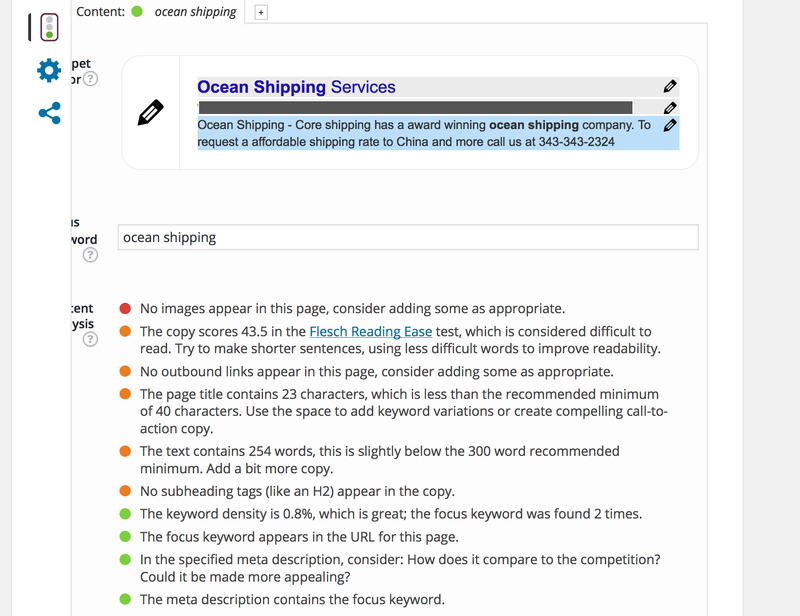 Yoast SEO, a mature and robust WordPress plugin, has quickly become the go-to tool for SEO. It allows for you to add your keyword but also gives you an SEO score, in addition to other features such as rss enhancements and more. This is pretty beneficial as it gives the user an idea of how they can improve their content. Other necessary tools are the Google Analytics keyword tool, which will help you in finding keyword ideas and how well that they will perform and SEM Rush to check your competitors’ keywords, checking backlinks and more. Getting started does take a bit of time, but in the end, it will be worth it. When I begin work on a website, I start off with a list of keywords generated by the content of the site or entering the words into a search engine. So for an example, if I was searching for more terms for Portland real estate services, I would type in “Portland real estate…” to see what Google autocompletes for me. 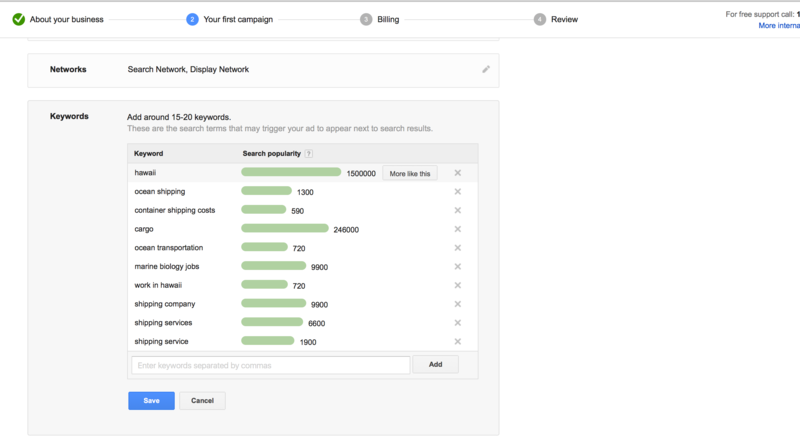 Generate a list of keywords (via competitors and through personal research) of what your users are looking for and whom you hope to target. As you can see, the Yoast plugin gives you a good idea of what you need to improve on and what needs additional work. Go ahead and start making these changes until your website gets a good score. Having plenty of content to your site will increase your overall score (it helps to remember that content is king). What you want is for users to come to your page and stay on your page. The longer they stay on your page, the more likely they will be to use your services. Like with social media, you want to be the expert so it is important that your site lets users know what you do and why they should use your services. This leads me to my next segment of using social media to help your SEO ranking. Recently, Google’s Matt Cutts (the former head of Googles web spam team) released a video stating that social metrics (Twitter followers, Facebook likes, etc.) do not impact search rankings(1). But, all is not lost, and social media still plays a significant role because Google crawls social media sites for data much like how they would for another site(3). Your social media profiles do show up when individuals look up your business. By having these social profiles, it gives your clients a more personal feeling. Also, having these social profiles allows you to gauge your audience, see what they like and receive their feedback (a form of informal a/b testing); engaging with your audience is important. Social media sites such as Google +, Facebook, Twitter and Pinterest are all great websites to start off with. If you have a specialized business, such as interior design, then looking into an avenue such as Houzz will also impact your social ranking. SERP stands for Search Engine Results Page. Social media sites are also search engines (1). In Patel’s article, he mentions that while users still use Google, they will also use social media search engines to look for new content. For an example, a user might see a related product on their Facebook but if you want to see additional products, using proper categorization and even hashtags will reach more users. Also, as stated earlier, users are more likely to look at your social media pages such as Twitter to see what your web presence is and who you are. Optimize as many of your social profiles as you can (strong profile, link to your website, Facebook, Twitter, LinkedIn, YouTube, etc.). Optimizing your social pages can also be important if you are new and have received some less than stellar reviews on Yelp etc. When you have optimized social profiles, you can push these results further down the page. Trending- Using Google Trends (2) will help you in getting ideas on what topics are threading and what people are looking for, via search query volume. Creating buzz for your company will help you create more clicks to your website, and that will increase your ranking. Creating great content and branding your content with your business name will help get you started. Actively engaging with your audience and encouraging them to share will help increase your web presence. Using social media is one way for you to stand out from the crowd. Also, it is an excellent tool for you to engage with your audience. Creating and managing a strong SEO presence is easier than you may think, and it will greatly benefit you. Building your audience, creating that connection, and publishing great content will push you to great heights.